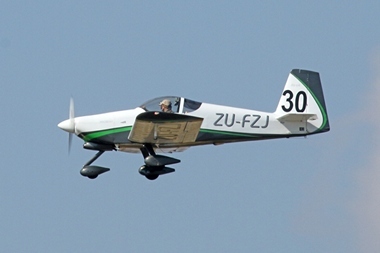 The President's Trophy Air Race (PTAR) is one of the most prestigious and longest running air races in the world and takes place annually during the month of May. 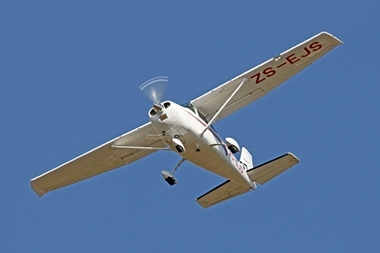 This year the race was held at Bethlehem and was successfully hosted by the Bethlehem Aero Club (BAC). 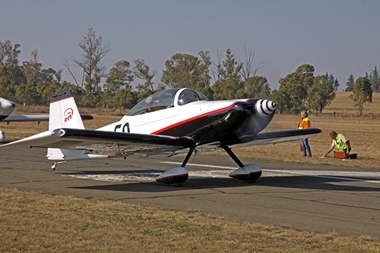 The President's Trophy Air Race (PTAR) is most probably the aviation event in the country that attracts the largest number of competitors and close to 90 aircraft was entered for the race. 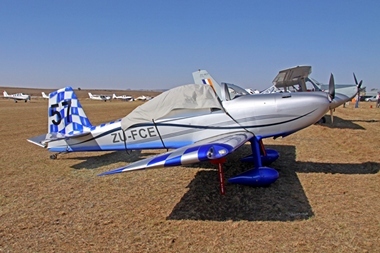 The race is organised and controlled by the South African Powered Flying Association (SAPFA) and is officially sanctioned by the Federation Aeronautique Internationale (FAI) as a World Class 1 event. 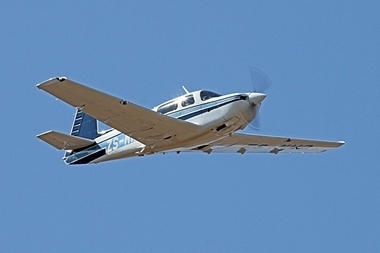 Originally known as the Governor General Cup Air Race and first held in 1937. The present format of the race was finalized in 1983 and consists of two triangular legs of approximately 400 nautical miles; the distance was later changed to 300 nautical miles per day. 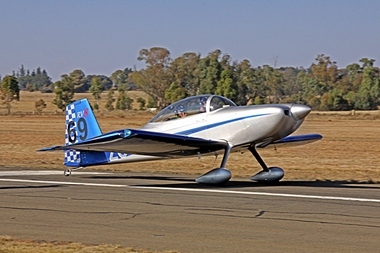 When possible the course forms a bow-tie on the final day so that the participating aircraft cross the starting point runway halfway through the race to add spectator value. 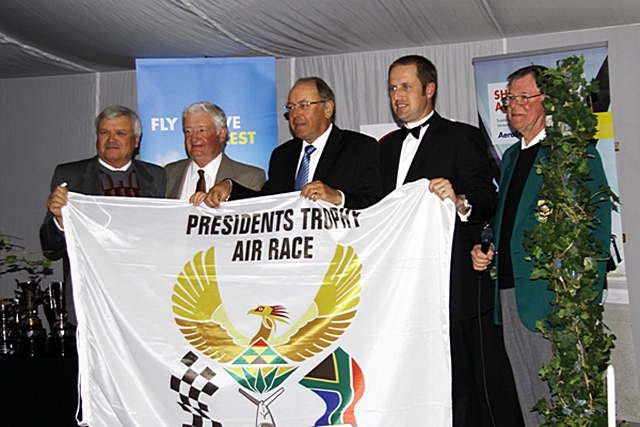 The race was renamed the President's trophy Air Race in 1994. This was the second time that the race was held at Bethlehem, the previous occasion was in 1984. 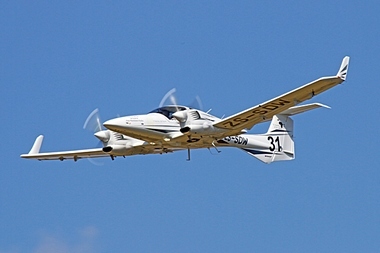 The race is a handicap race and is open to all Class C1 aircraft with reciprocating engines. 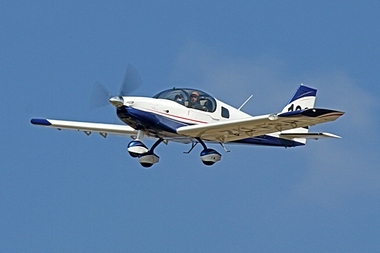 A handicap procedure is used in order to attempt to afford all aircraft an equal chance to compete. 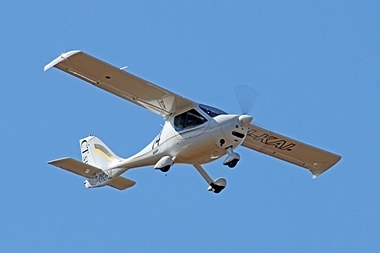 The determining of handicaps for the different aircraft have been a bone of contention ever since the first race it has been in use and provision has been made for competitors, who feel that they have been unfairly handicapped, to query their handicaps with the Race Director who will refer their queries to a jury. 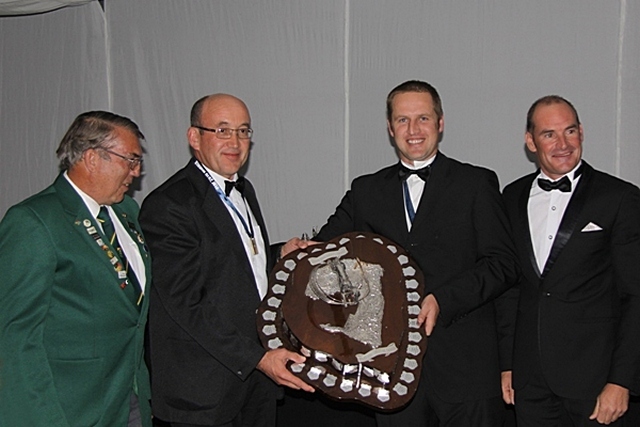 The appointed members of the Jury for the Bethlehem race were Chris Linakis, Neil de Lange and Ron Stirk. 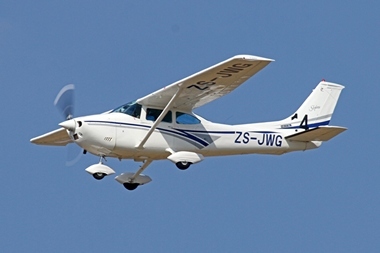 As more than 90% of the aircraft were across the finishing line within 10 minutes, the handicappers obviously did a fair and thorough job. 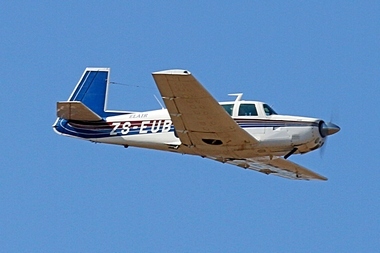 All the competitors had arrived by Thursday and the day was utilized for registration, test flights and to scrutinise the aircraft in order to ensure that none of the participating pilots have committed perjury on their entry forms by stating that their aircraft are airworthy, has all the required documentation on board and is unmodified other than what was already declared on the entry forms. Thursday's activities were concluded with a compulsory briefing session conducted in his usual humoristic manner by Race Director Robin Spencer-Scarr while the weather forecast was supplied by Michael Nethavhani from the National Weather Bureau. 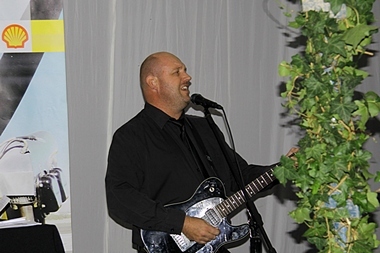 The briefing was followed by a very boisterous get-together in two other hangars, where tasty pasta dish was served and the diners entertained to the lively singing of Zieg Mulke. Friday, Day 1 of the race, started with an early morning briefing by the Race Director and the weatherman. Then the race started in all earnest. 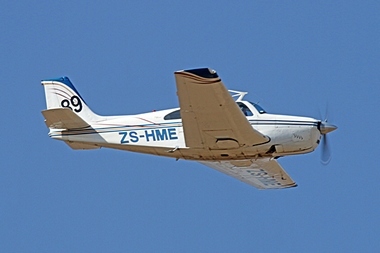 The competitor flying the aircraft with the highest allocated handicap, Dieter Bock in his Lancair Legacy with navigator Dale de Klerk, took to the air at exactly 10:00 am on the first leg of the race. 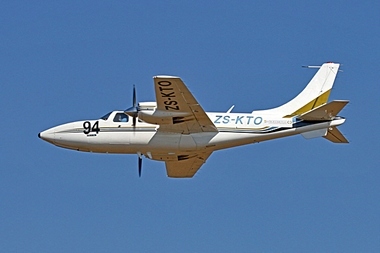 The last aircraft to depart, ZU-ALY, Aermacchi AM.3C took-off at 10:43. 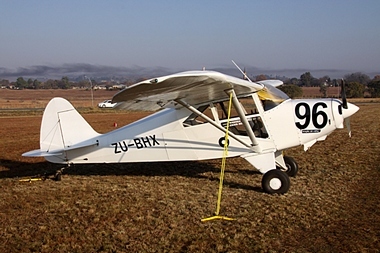 The weather was ideal for flying except for some fog between Volksrust and Heilbron. 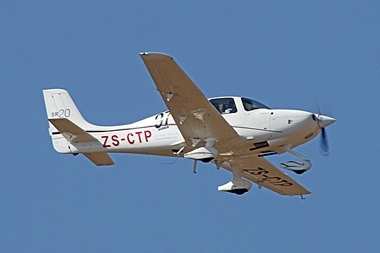 The course for Day 1 was Bethlehem, Volksrust, Heilbron, Senekal, Apple Orchards near Wolhuterskop and then back to Bethlehem, a distance of approximately 300 nautical miles. 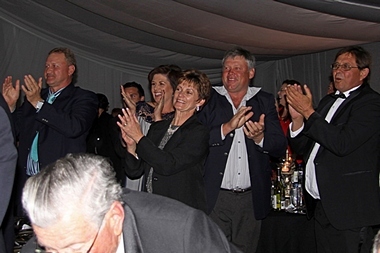 After the afternoon briefing everybody moved to the hangers where an even more boisterous get-together followed and a delicious meal of steak and chips was served and several sponsored prices were raffled by Robbie Myburgh. 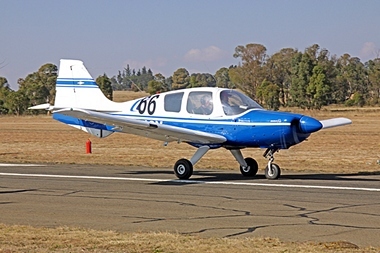 Saturday, the final race day, began with the compulsory briefing conducted by Robin and Michael, once more Michael predicted ideal weather for flying and his forecast turned out to be correct. 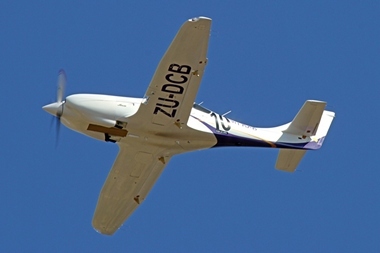 Piper PA-22-150, registration no ZS-BHX, was the first aircraft to take-off at 10:39 and the last aircraft to depart was the Lancair Legacy which took-off 1 hour and 6 minutes later. 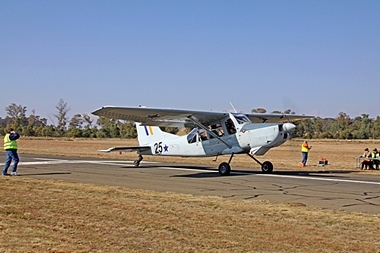 The route for the final race was Montevideo, Kroonstad, turn point 6 Cross Over, Harrismith, Reitz and then finally to the finishing line at Bethlehem airfield, a distance of approximately 280 nautical miles. 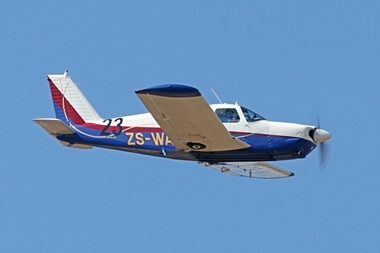 The first aircraft to cross the finishing line was ZU-KAI a Flight Design CTSW, closely followed by ZS-WAP, the Piper PA-28R-200 flown by Philip Jacobs. 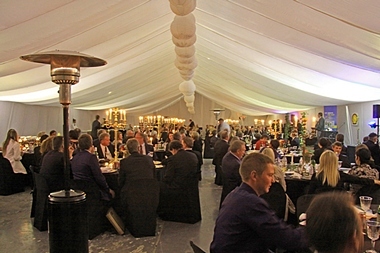 An excellently organised and managed PTAR concluded with a superbly planned, organised AWARD FUNCTION that was presented in a hanger that was magically transformed, by the a couple of wives of the members of the Bethlehem Aero Club, into a spectacular venue worthy of the PTAR award function. 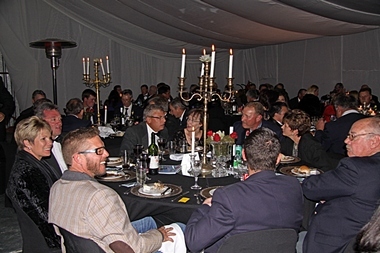 A very tasty dinner feast to match the venue was served. 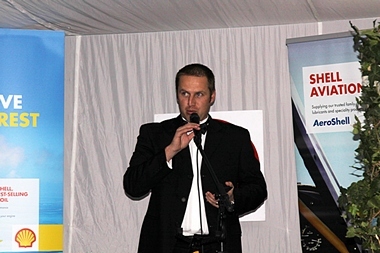 After the Chairman of BAC, Philip Jacobs had addressed the guests, Rob Jonkers and Whitney, the lovely Air Traffic Controller, draw the winning ticket for the SAPFA Oshkosh Raffle. The ticket No 33 bought by Rob Jeffery and Neil Bowden's daughter, Laura was drawn. 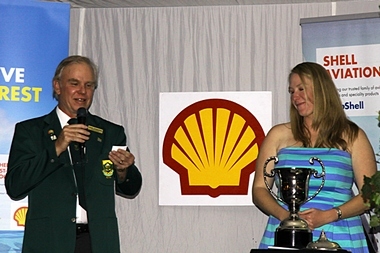 When Neil was informed of the outcome of the draw, he offered to sponsor Laura's ticket and the ticket was return for a second draw. Ticket No 306, bought by Piet Schutte from Krugersdorp was drawn by Whitney. 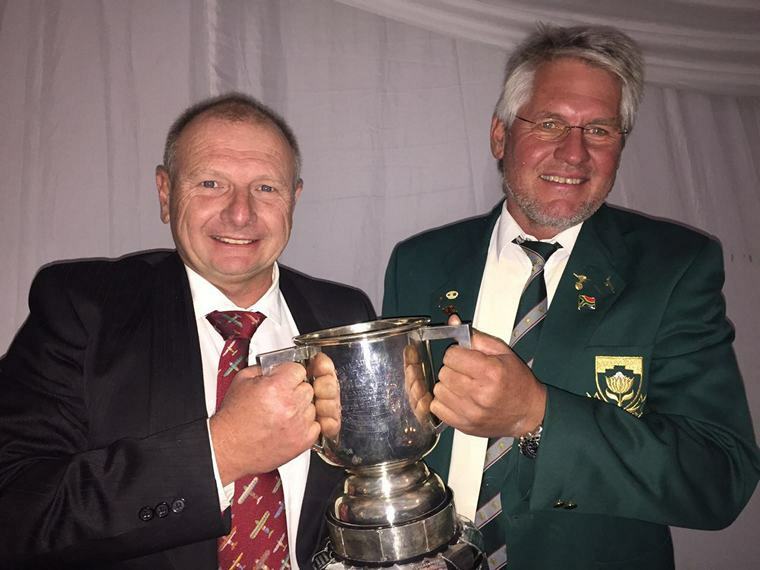 Then the moment everybody was waiting for arrived as the name of the winner of the President's Trophy announced and the members of the BAC could not contain their joy when the trophy was awarded to the crew of Race No 23, Philip Jacobs and his navigator Nico Smith. 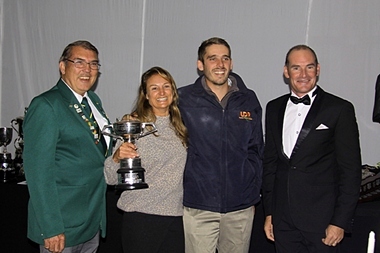 The members of the Bethlehem Aero Club and their spouses must be congratulated and praised for their amazing effort to plan, organise and present such an outstanding and successful race. 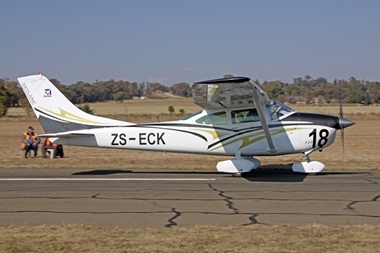 The race was a most enjoyable aviation event with great camaraderie between all present and involved throughout the duration of the event and most important it was a safe event. 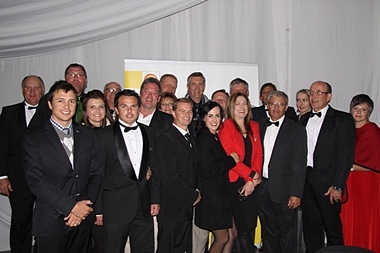 It was announced that the 2017 PTAR will be hosted by the East Rand Flying Club, Springs and the PTAR banner was presented to officials of the club.